Your Barbie Dollhouse Plans. Imaginative. Creative. All you. 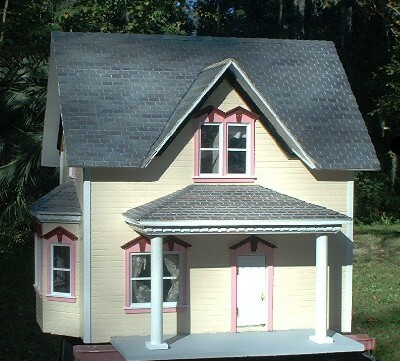 Your imagination is key to creating great dollhouse plans. Without an image in your mind you might as well stop now. So it does take your own creative thinking processes to get started. In this article we will discuss how to start, doing it all in stages, and how to finish well. Most people would think that the starting is the easy part. Not if you are blocked in your thinking. Like writer's block creating can lead you down a path of virtually no thoughts. At least no good / productive thoughts about what to do. The easiest way to break that non-flow however is to copy something you have seen in real life. No not someone else's work. A building you have seen that you would like to copy for Barbie. Letting all your own ideas come to the surface as you design. Do not leave anything out. Record everything that is your own. Actually the best way is to not ask for plans from others. Only write down mental notes of your own. As you study the actual building you want to copy. That way you are sure to let your own ideas surface. Your ideas are not worthless. Never think that. You can do what you want given the proper tools and instruction. Recently I came across one of those such designs and it comes immediately to mind. It was a cute little cabin my husband, father and I stayed in on Newfoundland. Yes I went on vacation. I still think it would make a very basic place to start. Adding to it my own visual ideas to complete my own barbie dollhouse plans. Begin by opening up Home Designer Architectural in preparation for your barbie dollhouse plans. The nifty little program we mildly discussed here. We also do a more thorough review of it here. Start by visualizing the building you know of in your mind. Picture it clearly. Special Note: Start with a plan that is simple. With just a few rooms to deal with. 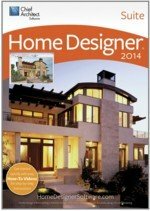 When starting your Home Designer program look for the "house wizard". It's a part of the program. With "house wizard" you can pick the number of rooms you want. And then resize any that you want to keep just by using the expanding part of the images. Plus you can easily place any room where you visualize it being in your barbie dollhouse plans. And when it is all said and done you can come up with at least the layout for your structure in a very few easy steps. Buy the copy of Home Designer Software you prefer here. 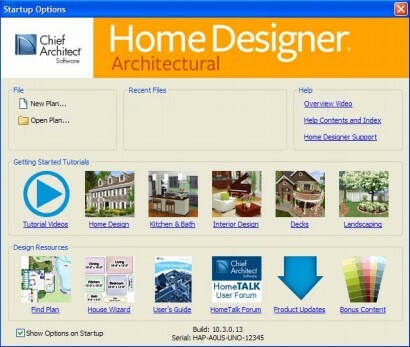 Select Programs> Chief Architect> Home Designer Architectural> Home Designer Architectural and click to start the program. When the program launches, the Startup Options window displays. * Click New Plan to open a new, blank plan. * If you have disabled the Startup Options at startup or already have the program open, you can select File> New Plan to open a new, blank plan. * For more information, see “Startup Options” on page 2 of the Reference Manual. 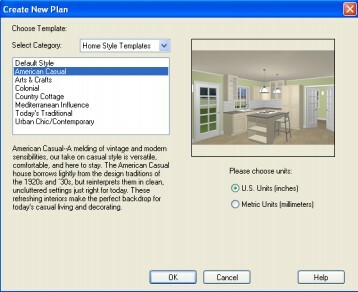 The Create New Plan dialog displays next. Home Designer Architectural includes a selection of Home Style, Interior and Landscaping template plans, each with different default settings that allow you to begin working in a particular plan style quickly. For this tutorial, select Home Style Templates from the drop-down list. 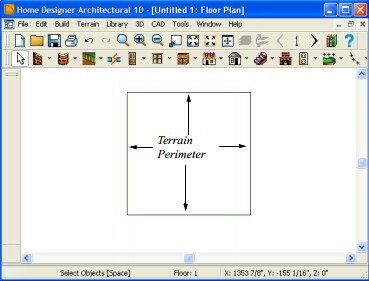 The Default template and U.S. Units are selected by default. Click OK. The floor plan view window opens, ready for you to begin drawing. It is wise to save your work, and save it often, as you proceed. * Specify the location on your computer where you would like to save the plan. * Enter a name for your plan. It is easier to think of your construction project in rooms. After you have come up with a layout it is then simple most times to finish your doll house in stages. Take each room in hand and visualize how it should look. Use real life to aid in your final result. Map out where chairs should go, closets, beds, kitchen cupboards, etc. Begin decorating in your mind as you would for your own home. What do you like or not like? Make lists to help in reaching goals. For instance finish any room from top to bottom first. Painting walls, finishing floors, installing windows and doors. That type of thing. Then move on to decorating and furnishing. Always finish all barbie dollhouse plans you start so you do not have to come back to them. And by finishing I mean, really finish. If something would look more real with a touch of this or a splash of that then come up with the look through purchasing what is needed or create it yourself. 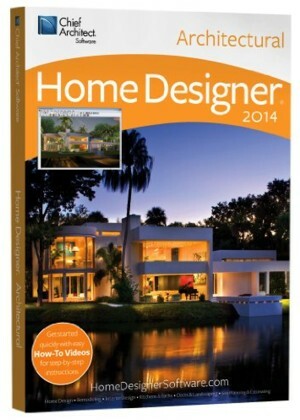 There are many publications around that will help you with the design elements you need. Plus don't just confine yourself to miniature books... Look into real size examples too. That's where you will come up with even more life-like elements if you copy what you see around you in large form. A word of caution though, in your designing, stage work and finishing elements of your creation... don't try something you are not ready for. In other words, start small and plan to grow bigger as your knowledge and enthusiasm develop more. Who knows as you get better maybe your designs will be featured on the cover of magazines and websites. For a little more info on developing your own original Barbie Dollhouse Plans check out this article too. Until next time keep on developing your awesome world in mini.